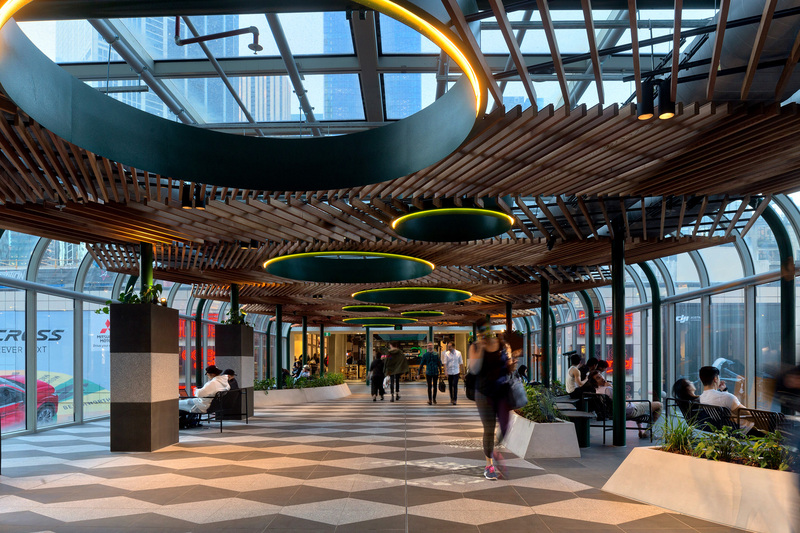 Placed in the heart of the city, Melbourne Central is a diverse shopping and dining destination that invites the public to keep exploring. The centre is part of the City Loop underground railway and spans over 55,100 square metres. 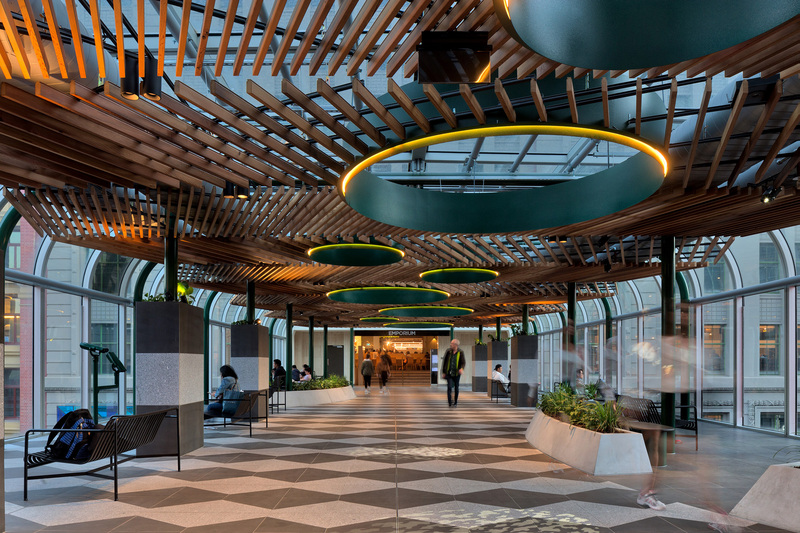 With lighting supplied by Lights & Tracks, Unios luminaires feature throughout levels one and two on the link bridge, which connects Melbourne Central to neighbour, Emporium Melbourne. 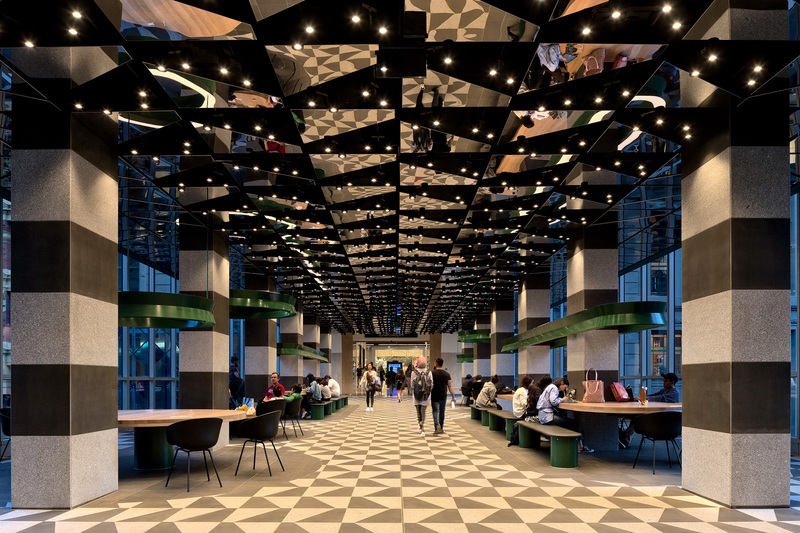 The link bridge showcases a stunning mirrored ceiling which features our Apex Downlight in a surface mounted canister. 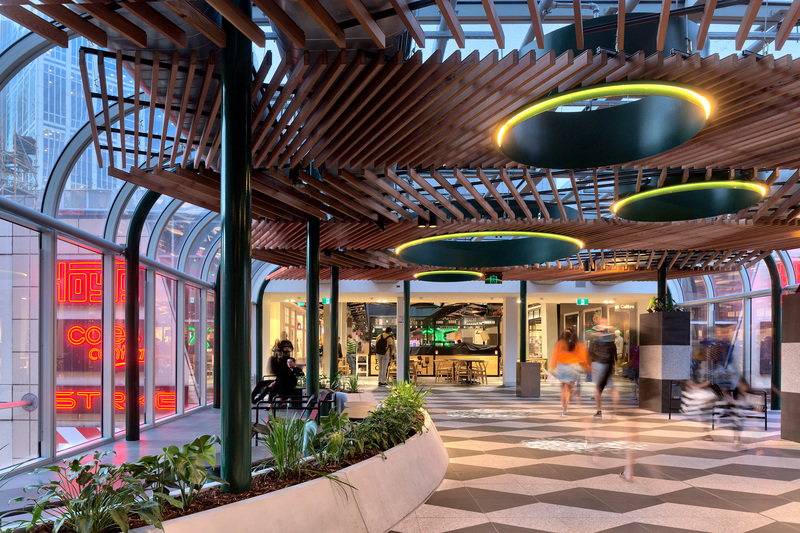 These luminaires come specified in a traditional 3000K CCT, creating a high level of visual comfort for shoppers. With this cool, warm white light; stores, plants and the general space looks like an appealing place to be. Stealing some attention, our Aeon Flex showcases its complete capabilities on the second level of the connecting bridge. Shaped and conforming to the circular feature within the ceiling, the Aeon sees no boundaries and provides a striking concept to the open space. 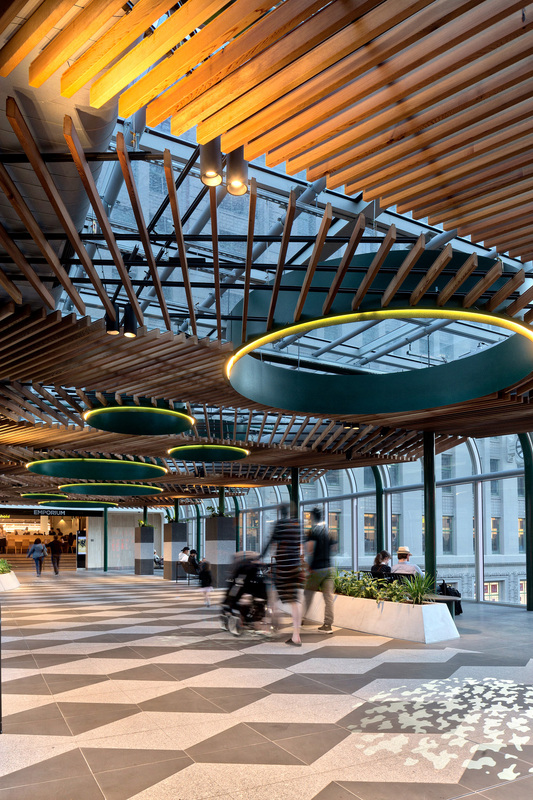 This IP68 linear LED proves in Melbourne Central that it truly can effortlessly conform to any project in all conditions. Working in cohesion with the Aeon, our Titanium Surface Mounted Downlights sit below narrow wooden slats. 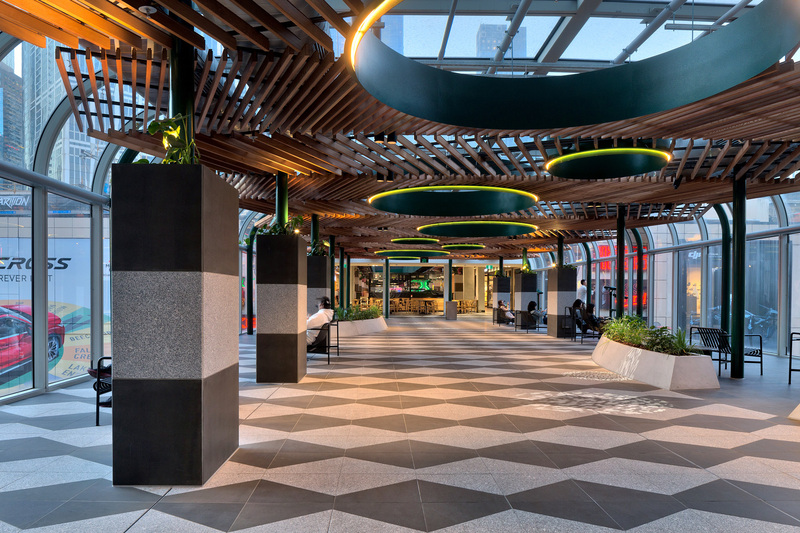 The Titanium works to create a general illumination with a modern take for this walkway. 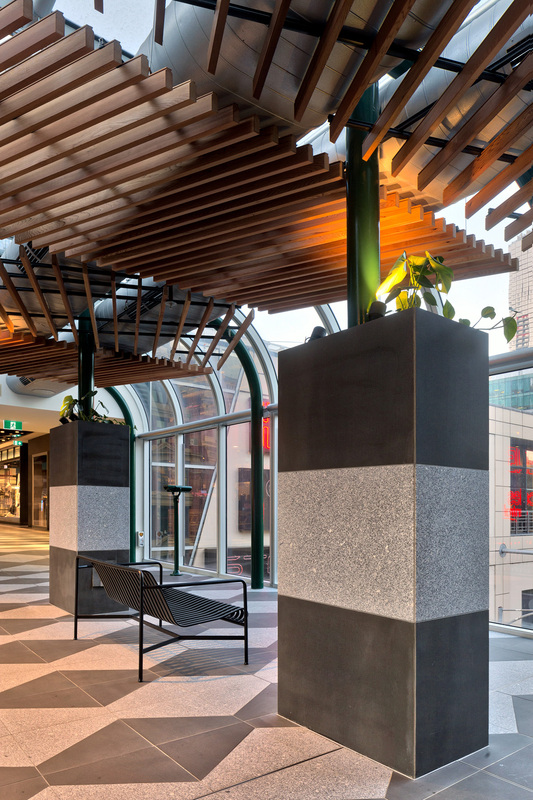 You’ll also spot our Emerald Spike Spotlight in a textured black on level two, which features throughout to illuminate planter boxes and lavish green surroundings. 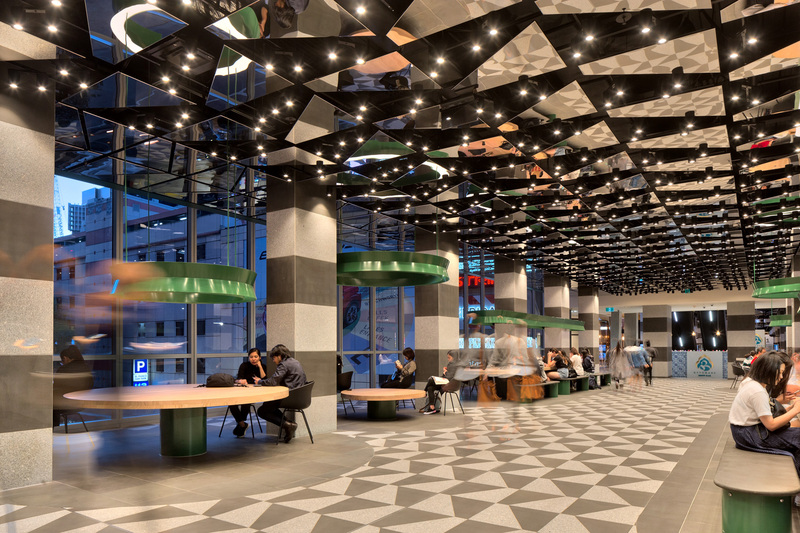 A truly fun and creative project; Melbourne Central showcases innovative lighting design at its finest.